Find Better Ideas, Faster ® with a custom customized fashion trend report, our PRO Dashboard and 80+ categories of premium trend reports. 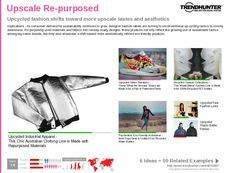 The Customized Fashion Trend Report is a creative look at the mixture of personal customization and fashion-forward trends. Our research looks at various aspects of DIY culture as they apply to the industry of fashion and accessories. Using our carefully curated research, we show how DIY details and enhanced customization options influence both tastemakers and the average consumer. Use this report to be brought up to speed about the latest customized fashion trends making significant ground within the consumer market. 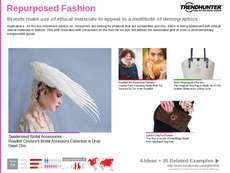 Learn by example and observe how DIY aspects can actually be incorporated within fashion design and actually be promoted through the development, marketing and sales process. Featuring the latest fashion releases and DIY designs, the Customized Fashion Trend Report is an eye-opening look at both personal preference and individual style.